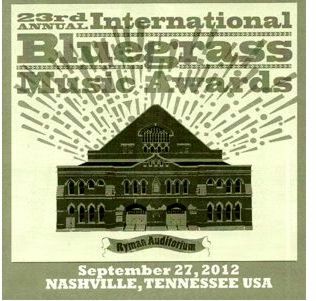 On Friday, September 9th, Cybergrass celebrated 25 years of promoting bluegrass music on the world wide web. What started out as a learning and research project has evolved into one of the most popular bluegrass web sites in the world. Cybergrass, the world's oldest music and bluegrass music web site, changed over to a new format a few years ago. The site continues to grow even with all the thousands of other bluegrass sites on the web. What a wonderful way to celebrate a quarter century of bluegrass information on the web! Nashville, TN -- Multi-GRAMMY® nominee, newly inducted Grand Ole Opry members and three-time International Bluegrass Music Association Entertainer of the Year winners Dailey & Vincent continue to expand upon their monumental 2017 with the release of their latest album Patriots & Poets. In addition to celebrating 10 years together as a duo, they're exploring new boundaries while also going back to their bluegrass roots on Patriots & Poets, which features collaborations with Steve Martin, Doyle Lawson, TaRanda Greene, David Rawlings, and Bela Fleck.The multiple IBMA and Dove winners, who Billboard stated "continues to set the standard for which all modern-day Bluegrass artists are measured by," is releasing Patriots & Poets via Dreamlined Entertainment Group and BFD (distributed via RED), and fans can pick up a copy on iTunes, Amazon and wherever music is sold. On Friday, September 9th, Cybergrass - The Internet's Bluegrass Music News Magazine will celebrate 24 years of promoting bluegrass music on the world wide web. What started out as a learning and research project has evolved into one of the most popular bluegrass web sites in the world. Cybergrass, the world's oldest and highly respected bluegrass music web site, changed over to a new format a few years ago. The site continues to grow even with all the thousands of other bluegrass sites on the web. What a wonderful way to celebrate almost a quarter century of bluegrass information on the web! I've been posting bluegrass articles on the web longer than anybody and in the 23 years of doing so (we went online September 9, 1992), I've seen some interesting trends. Over the years, this site has carried profiles, events, news, obituaries and editorial content on a very broad array of topics. In over 10,000 articles run, there have been some interesting readership results. I track article readership, links, and such with a Business Intelligence tool that allows me to perform various analytical analysis and it is always a fun exercise to see what lies in the data. There has been a whole lot of excitement about the latest project by Lorraine Jordan & Carolina Road including some of the biggest country artists of all-time, including Crystal Gayle, Lee Greenwood, Jim Ed Brown, Lynn Anderson, The Kentucky Headhunters, T.G. Sheppard, Eddy Raven, and John Conlee, and others. From an early video release to a sampling online, the comments and buzz surrounding this collaborative project has all been excellent. Lorraine was gracious enough to give Cybergrass her comments on the new Country Grass project. Cybergrass is celebrating another year of bluegrass music on the Internet. Wow! What a ride its been. We have gone through five iterations, four domain names and we're still here. What started out as just a research project almost a quarter century ago has evolved into the world's oldest bluegrass music web site which, is also the world's oldest music site of any genre. Cybergrass was born 22 years ago when the web was in its fetal infancy. There were no tools and everything was alpha release source code. The web was dark and void and the Internet was still just a research project -- the Research Internet. Bob Cherry, working with electronic documentation at Xerox got his hands on some very early code and managed to put it together with minimal documentation. On September 9, 1992, he posted about 50 songs from the Digital Tradition files on a Xerox PARC web server with a simple HTML index. HTML was all coded by hand in those days. That was the beginning of what has evolved into a premier bluegrass music site on the web. We've written about Dolly Parton's latest project, Blue Smoke a few times including their initial exposure in Australia to a more recent CD release announcement. It is no secret that Dolly Parton has been a supporter and fan of Bluegrass Music for what seems like forever. Why not? She was born, raised and lived mountain and bluegrass music. It is in her genes and in her roots. This latest release allows this gifted and blessed artist the freedom to explore those bluegrass roots. The following Track-by-Track will give fans, old and new, a new insight into Dolly and her music. On Monday, September 9, 2013 Cybergrass - The Bluegrass Music News Network will celebrate 21 years of promoting bluegrass music on the world wide web. Started by Bob Cherry while he was working in technology, he brought the new technology to an older style of music. That marriage of technology and bluegrass music allowed the little genre to be the first music represented on the world wide web. That innovation still continues today. Nashville, TN (June 3, 2013) -- The launch for The Roys' newest CD, Gypsy Runaway Train, is underway with a flurry of radio, television, live performances and reviews. The duo celebrates the June 4 release by bringing their signature sibling sound to CMA Music Festival again this year with multiple shows scheduled. Tuesday, June 4th, The Roys latest album, Gypsy Runaway Train hits the streets. That is a fitting way to say how the album gets released as the title describes how this dynamic sibling duo's lives exist on the road. Commenting on the name, Gypsy Runaway Train, "I wrote it with my friend Morry Trent," explains Lee Roy. "We wanted to capture the essence of the lives we lead as musicians. We are like gypsies on the run." 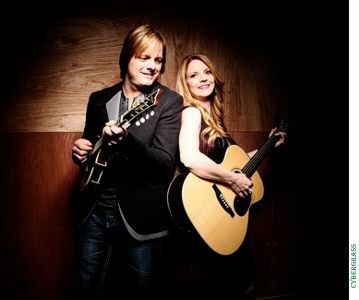 The Roys Talk to Cybergrass About Their New Album "Gypsy Runaway Train"
The Roys are releasing their latest project, Gypsy Runaway Train in just a few days. This exciting new album really gives the listener a glimpse of The Roys and what they're all about. The album was produced by The Roys and Andy Leftwich and includes songs by The Roys as well as some well recogized works by others including Bill Monroe, Blue Highway, Merle Haggard and others. 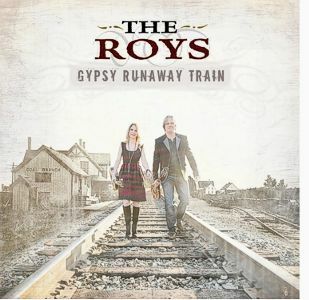 Read more about The Roys Talk to Cybergrass About Their New Album "Gypsy Runaway Train"
Cybergrass is known for carrying accurate and relevant information about bluegrass music but, every now and then, somebody attempts to take advantage of us and the exposure we offer. A few years ago, that is exactly what happened. We received numerous conflicting news items from competing parties and we set out to verify who was telling the truth and who was not. It turns out that one party was feeding us a lot of press releases that were all determined to be false in content. The opposing party was being amazingly neutral and honest.